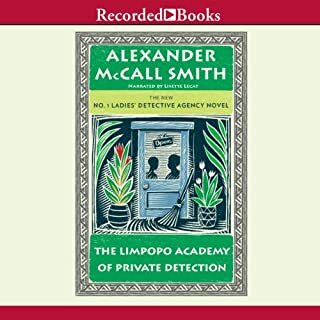 Would you consider the audio edition of The Limpopo Academy of Private Detection to be better than the print version? I enjoy the accents and the voices, but would never even compare an audio book to a print book. These questions have nothing to do with how I would review a book. If you have enjoyed any of the other AMS books in this series, you'll enjoy this one also. The characters are so natural and endearing that I invite them into my day often. I would choose these quirky women to be my own "actual" friends if I encountered. Which character – as performed by Lisette Lecat – was your favorite? AMS's books always cause me to marvel that they are written by a man. He has an uncanny insight into the character of women and a great sense of humor about them also. Again, I dislike the questions of this review. Who cares what I would tag a film of this book to be? Really? 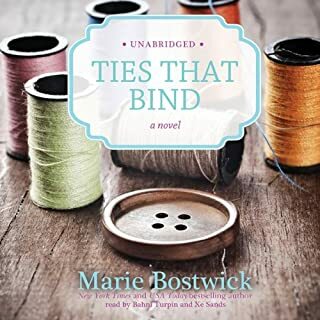 In her compelling, beautifully crafted novel, New York Times best-selling author Marie Bostwick celebrates friendships old and new - and the unlikely threads that sometimes lead us exactly where we need to go. Christmas is fast approaching, and New Bern, Connecticut, is about to receive the gift of a new pastor, hired sight unseen to fill in while Reverend Tucker is on sabbatical. Meanwhile, Margot Matthews’ friend, Abigail, is trying to matchmake, even though Margot has all but given up on romance. 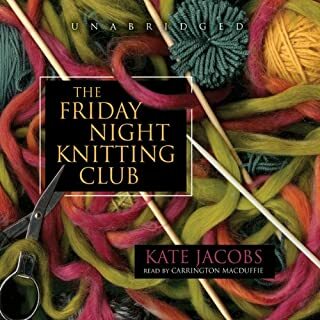 Would you try another book from Marie Bostwick and/or Bahni Turpin and Xe Sands ? Which character – as performed by Bahni Turpin and Xe Sands – was your favorite? The cast of characters that were presented in any depth was so limited that if you didn't like Margo.... you lose! Would you try another book from Sara Gruen and/or David LeDoux and John Randolph Jones ? I probably wouldn't read another book by this author simply because I didn't enjoy this book. The story was well developed, the characters also, but I just didn't like the story line. I didn't care for the various characters. Perhaps the circus just isn't my thing. What about David LeDoux and John Randolph Jones ’s performance did you like? The readers were fine. Rather harsh vocals, but they fit the characters and setting. 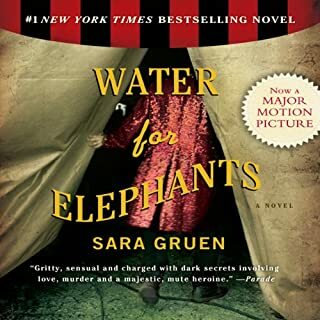 Was Water for Elephants worth the listening time? Kate Morton epitomizes "my kind of writer". She had innocence, and evil, without delving into depravity. She painted beautiful pictures with her words. It was such a pleasure to visit the cove, the maze, the paths of the garden, and to meet Christian and Eliza, Nell, and Kass. 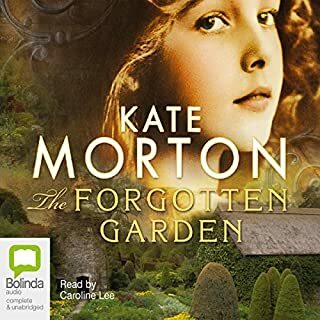 I'll be checking out more Kate Morton if I find it. I generally know what's going to happen in a story very early on, but Kate kept her secrets well hidden until the end. It was good to be kept guessing, and even to be wrong in my assumptions as I listened. 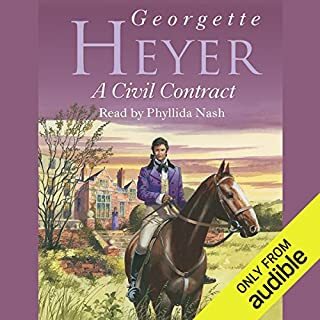 This was my first Georgette Heyer book, and I now have all of her 'audible listed' books in my wishlist or my shopping cart. Her style of writing is very slice of life. She develops characters with character. Without being preachy, she definitely supports making morally sound decisions. I once had an instructor who said American writers oversimplified peoples lives by not allowing their characters to have complex and sophisticated relationships. His point was that American Writers didn't write about affairs, and people making sexually immoral choices. Being moral is not simple, and Being unfaithful isn't 'sophisticated'. Georgette Heyer, although British seems to make my case. 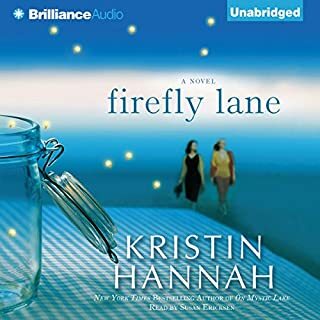 One of the things I appreciated about this book is that it shows how complex characters can be without crossing the line of marital fidelity. 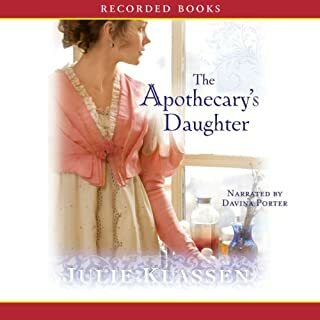 This book was a sweet story with characters that grew in complexity throughout the tale. For a few days, I escaped into the garden, and the shop, and the village. 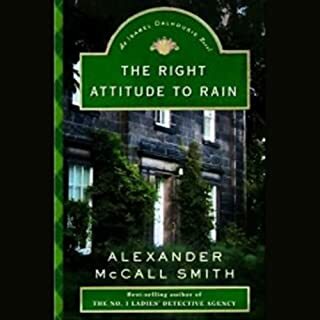 A couple of characters were developed, and left hanging, as one situation was minimalized too simply after having so much time and concern devoted to it throughout the book,but over all, I really enjoyed this book. This was a continuously entertaining book. The journey was a bit convoluted, but enjoyable. 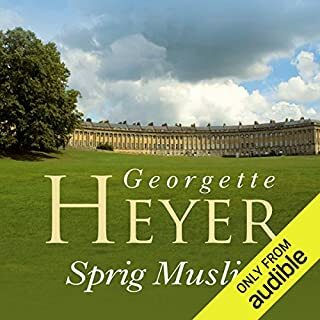 Georgette Heyer is a delightful story teller who seems to lean toward complex situations for characters who prefer simplicity. Sian Phillips reads well, without over emoting. I recommend the book. Thanks for another wonderful character study. This book was entertaining. The target reader will have to be into the fiber arts. Cancer deaths are getting very cliche in contemporary writing, and the author could have found some other creative ending. This audio book should have been about 1/3 the length. Although the story is OK, it just dragged on so long the reader gets tired of the characters. I wouldn't recommend it for a long car drive, as it may put you to sleep.